This Jetta replaced my wife’s 2014 Jetta TDI when we sold it back to VW. Neither of us are fond on the Mk7 Jetta, so we made a quick move to get this car before the new model arrived. She’s a very dedicated manual transmission driver and a huge fan of sunroofs. There aren’t many sedans in America that meet that criteria, much less in VW’s line-up. On top of that, she wanted a Silk Blue car with black interior. By the time we declared those requirements, there was exactly one specimen remaining within 1000 miles of us. I flew to Cleveland on a Friday after work, bought the car the following morning, then drove it home. The little 1.4T has good power (150 hp and 184 lb-ft) and averaged 45 mpg during its 575-mile maiden trip home. Given the price spread between diesel fuel and regular unleaded gasoline, getting 45 mpg in this car is financially the same as getting 55 mpg with a TDI. I’ll take it! Silk Blue is an attractive color, so we’re happy to have dedicated the effort to get the car. The insurance payout from the totaled 2017 Jetta below was more than what I paid for it. 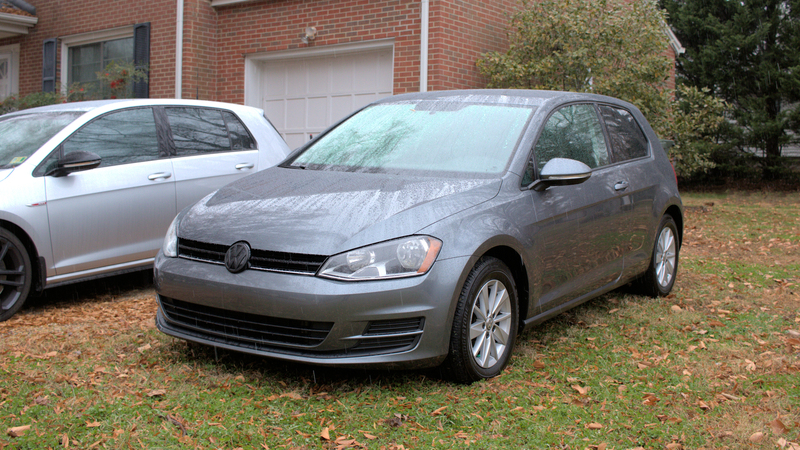 This time, we chose a Mk7 Golf after considering a slew of Mk5s and Mk6s. We bought this car with just over 80,000 miles on it. That’s high miles for a 2015, but most older cars on the market have similar mileage. At least we started with a newer chassis. In time, we’ll have the valves inspected and cleaned, then follow up with some upgrades. I may feature this car on my blog from time to time. 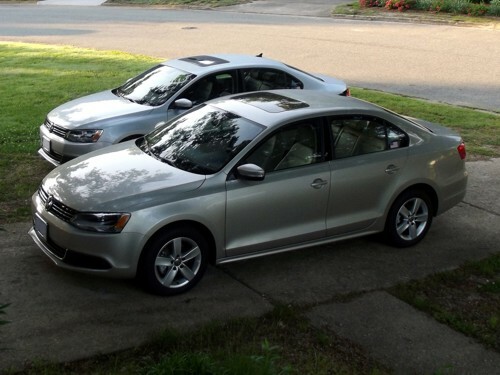 My wife and I had a pair of 2014 Mk6 Jetta TDIs with Premium packages. We loved them! 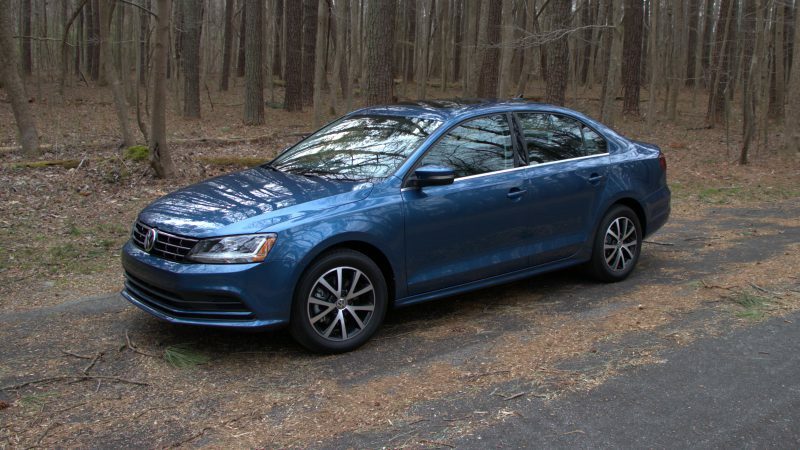 I believe advancements in technology, the modern list of standard items which were once very expensive options, and Volkswagen’s efforts to satisfy consumers with more trim levels had yielded a Jetta that I felt was great just the way it was. 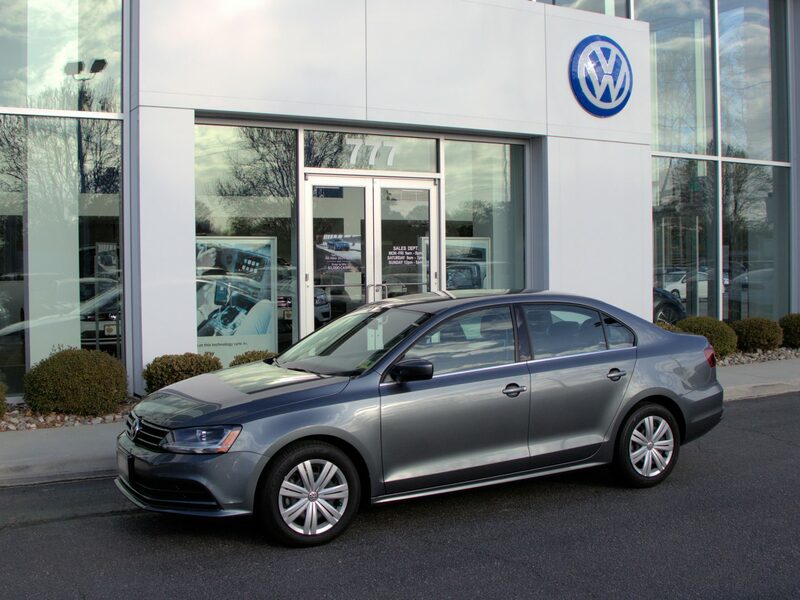 The Jetta TDI w/Premium was giving me nearly everything I wanted with factory equipment. My Mk6 averaged 42 mpg during its 70,000 miles; my wife’s Mk6 averaged 36 mpg over its 40,000 miles. The outcome of “Dieselgate” left me wanting to take advantage of the buybacks and execute a “do-over” of sorts, which is how I wound up with my GTI and the 2018 Jetta SE above. 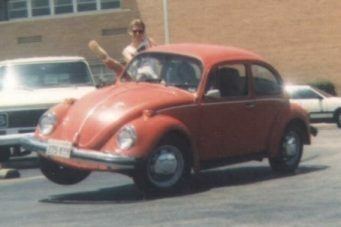 This was my wife’s first Volkswagen. I had spent some money acquiring VW-specific tools and told her, “You can drive anything you want, so long as it has a ‘V’ and a ‘W’ on the grille.” HAHA! 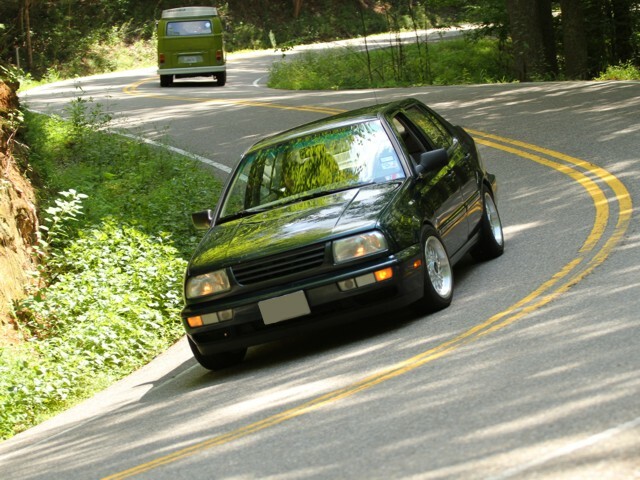 The Passat was powered by VW’s first 1.8T. The fit, finish, and attention to detail on this car was amazing! We kept the miles on it low, selling it with 110,000 miles after 11 years. There were a lot of issues cropping that I simply grew tired of dealing with. I don’t recommend this model to anyone shopping for used cars. So many problems! 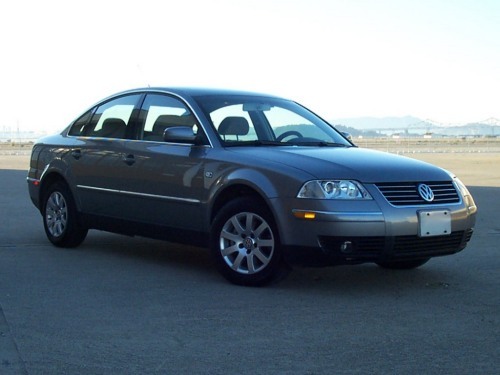 This was my first Jetta TDI, purchased new in 1998, and the car that transformed my love for VWs. This was also the car that started my “stealth” styling cues. At one point, my Mk3 had an extra 50 whp and 150 lb-ft, vastly improved handling through suspension tuning, upgraded lighting, an upgraded stereo system and a hidden communications suite. It served as a commuter, a travel/vacation car and my workhorse with racks/trailer almost non-stop for its first 16 years and 445,000 miles, averaging ~47 mpg during that time. It also was a weekend racer. But you’d never know it by passing it on the street. This car finally met its end when rust attacked the structural areas of the strut towers. Click here to see what was beneath the skin of my Stealth TDI. I maintained a comprehensive TDI page, the predecessor to this site, that was very popular for a while. See it in the Wayback Machine. I bought this car second-hand in 1995 from a doctor who had used it through medical school. It was lots of fun to drive, but his years of neglect surfaced fast. I had already replaced the shocks, brakes, motor mounts, and the idle stabilizer; but other things kept creeping up faster than I could manage financially. The most annoying item was that just about every door and window leaked. I finally had to make a choice. My wife had been left stranded by each of my cars (both times I was at sea). I needed to know that she had reliable transportation while I was deployed. By the time I traded the poor Golf, it had no muffler (it fell off somewhere in Houston), water inside, and something ugly was about fall off in the front suspension area. The car gave us what we needed for a little while, but it was time to go! 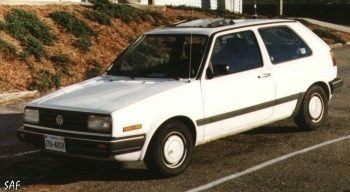 This was my first car, my gateway to independence! I got it when I was in high school. I used to drive that thing silly. I took a Swiss exchange student and a pair of Japanese exchange students to senior prom in it. My date’s hoop skirt took up the entire front area! They all really loved the car; so did I. But I knew nothing about how to take care of it other than changing the oil. My step father started driving it when I joined the Coast Guard in 1986. He was neglecting it and not taking good care of it. His constant smoking in it had browned the clean white headliner. He bought it from me for what I paid. I think he had a guilty conscience. It eventually fell apart on him. Justice was served! That’s it: Nine Volkswagens in total. Hopefully, this page won’t grow too quickly. I tend to keep my cars for a long time (except when VW’s buys them back above market value). I’ve included a photo gallery below.